How Do Websites Store Passwords Securely? - Ask Leo! In reading your excellent article, “How Can a Hacker Try All Possible Passwords If Systems Block the Login Attempts?” I still don’t understand. Even if a hacker has stolen the user database of logins and hashes, how can they duplicate the method of hash creation used by any particular website? I would think different websites would use different hash creation formulas. That’s what makes it so frustrating when these attacks end up being successful. The problem is that security is often an afterthought. In fact, it’s often not thought of in any deep sense until after a successful attack. The good news is, there’s something simple you can do about it. As discussed in that earlier article, websites do not (or, rather, should not), keep a record of your password. Instead, they “hash” the string of characters you provide as your password, and store that hash instead. When you log in, they hash the password you type in and compare the result with the hash they stored. If the hashes match, you must have typed in the correct password. And that’s exactly what a “poor” website might do: nothing more than a standard hash. The problem is that anyone who hashes “password” using sha256 will get exactly the same result. There are several approaches that allow hackers to discover which hash algorithm was used and to reverse engineer many of the passwords in a stolen database. Unencrypted passwords. This is horrible security because it represents no security. Hackers need do no work; the passwords are theirs for the taking. Change your password immediately. Unsalted password hashes. This is the “bad” website scenario: the website designers made an attempt, but a poor one. Passwords are likely to be compromised in short order. Change your password as soon as you can. Salted password hashes. This is the “good” scenario. When I hear this phrase or its equivalent, I worry much less. I’ll change my password, as salting can still be implemented poorly, but I won’t lose sleep if I can’t get to it right away. Hackers aren’t going to get in easily, if at all. Here’s the real problem: when it comes to security, there are good websites, bad websites, and horrible websites. You have no way of knowing which is which — at least not until after a compromise. There’s only one practical approach: assume they’re all horrible. Assume your password may someday be compromised. In practice, that’s simply another reason for a basic rule of password security: use a different password on every site. That way, when one site gets compromised, your other accounts are not at additional risk as well. In other words: keep doing what I hope you’re already doing. 1: This is an over-simplification. A properly secure password storage mechanism would use a different hashing function, for a variety of reasons, as well as a unique, random number as a salt. I found a good, more detailed rundown at Salted Password Hashing – Doing it Right. « Previous post: Start broad and refine is typically the best search strategy, unless you have something very specific to look for. Leo, how about doing a piece about the security of password managers, both cloud-based and those that reside on your PC? You use the phrase “reverse engineer” regarding hash codes. That may make people think that the hackers can read the hash code and work their way backwards from it to get the initial password or phrase. My understanding is that the hash is a one way process and what they do is create a dictionary of common passwords (and all short ones) that they run through the hash process to see which one gives the matching hash code. With a salted hash, they will not find any matches unless they happen to also match the salt. Any site that can tell you what your “forgotten” password is should be avoided. That means that they store the actual password somewhere that can be hacked instead of only saving the hash of your password. Leo.. Thanks for all your messages answering the questions of your readers. On today’s subject, I would like to ask about my creating passwords that are really complex. How would I keep up with these new passwords – salted or not – ? They would be long and not easy to remember by myself. Where would a keep these long and complicated passwords. Thanks for your comments. 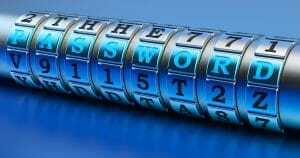 Use a password manager such as Keepass or LastPass. The first is a software program that you install on your PC. It stores your passcodes in an encrypted file locked with AES encryption, the gold standard of the industry. The latter is a browser extension that you add to your browser. It stores your passwords safely in the cloud, also encrypted with AES. I use both and find them both easy to use. I have hundreds of usernames and passwords for many different websites, encrypted volumes and so forth. All are very complex passcodes with 20 or more different character combinations. Nothing is truly bulletproof, of course, but I always follow best practices. Not quite sure I understand your question. This whole concept of salting and such happens behind the scenes. You just create long, strong passwords, use different ones everywhere, consider using a password vault like Lastpass, and you’re good. As Leo said, the salting happens behind the scenes. Ie. by the program that encrypts them. To keep your passwords protected by a salted hash, use a password manager, such as LastPass, which uses a salted hash to encrypt your passwords. Leo: I would assume the best of all practices is to install LastPass and let LastPass generate very strong passwords (20 characters or more) for each and every website that I use. That way even I would not know what the passwords were unless I were to download the CSV file into Excel as a backup. Is it better that I don’t know what the passwords are? That’s exactly what I do. (Right down to the 20 🙂 ). You don’t need to know what the passwords are but it’s important to have a backup of your passwords, as you mentioned, in a .csv file. You can then encrypt the .csv file, for example, using 7-zip or AxeCrypt. Have you noticed that password managers are not working as well as they use to? What I mean is at some sites they will fill in the info, and others they don’t. I end up running 2 different PW managers at the same time hoping one will work. I believe this may be caused by web sites not catching up to the new web browsers. Same issue with the browsers. Normally run Fire Fox, then MS edge and one may work correctly. example, FF opens a page but doesn’t display the words, MS edge you click on a link, but nothing happens. Check out carts are always a crap soot. So I resort to using IE11. That browser just seems to work. "Unencrypted passwords. This is horrible security because it represents no security. Hackers need do no work; the passwords are theirs for the taking. Change your password immediately." I am shocked, astounded dismayed, and ashamed, Leo, that you would give such idiotic advice! Folks, if you find evidence that a site is storing your password (or passphrase) unencrypted, DELETE YOUR ACCOUNT THERE AND DUMP THAT SITE AT ONCE — and DON’T use that same password/phrase anywhere else, EVER! But, ABOVE all, do NOT, as Leo here so mindlessly recommends, simply change you passphrase — the “new” one will be every bit as UNencrypted and vulnerable as the old one was!!! Yeesh!!! All he’s saying here is that if there has been a breach, the hackers have your password and you should change it. Of course, it’s best to switch to a website which uses a salted hash of your password but this isn’t always possible. And for that reason, the worst thing you can do is use the same email address password combination on more than one website.